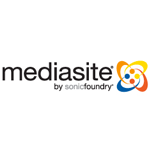 Mediasite is a capture and distribution system that lets instructors create lectures and presentations videos. Students have the ability to watch this content on their computers or mobile devices. To learn more about the use of Mediasite at K-State, view the Mediasite website.